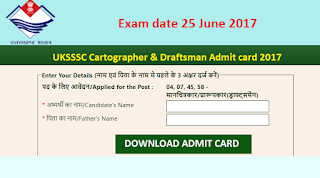 UKSSSC has released the exam call letter for the post of Cartographer & Draftsman . Candidates who have applied for the post code 04, 07, 45, 58 now they can download their admit card. 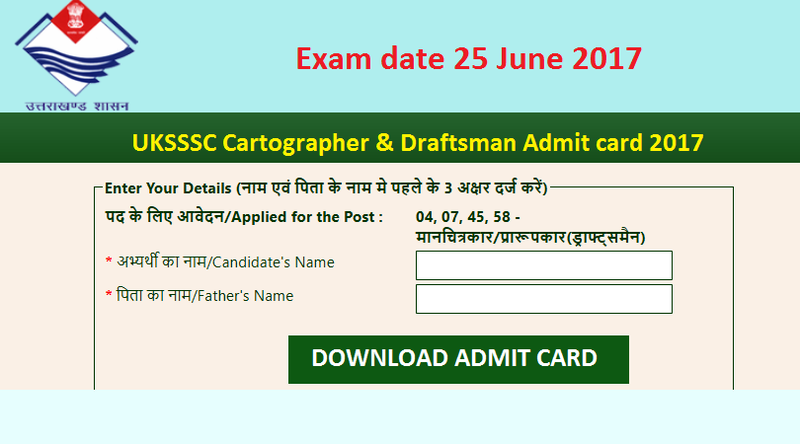 UKSSSC is going to conduct Cartographer & Draftsman exam on date 25 JUNE 2017.